See more objects with the tag figures, ornament, flowers, ribbons, clients, printmakers, loops, metalsmiths, bouquets, leaves, roses, jewelry, goldsmiths, tulips, stem, niello, clusters. This is a Print. It is dated ca. 1648 and we acquired it in 1999. Its medium is engraving on off-white laid paper. It is a part of the Drawings, Prints, and Graphic Design department. 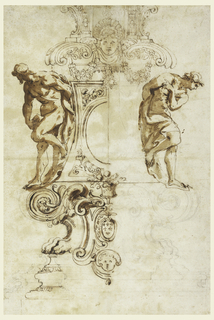 This object was fund: Friends of Drawings and Prints. It is credited Museum purchase from Friends of Drawings and Prints Fund. Imprinted lower left center (above platemark): HR.Fecit / Paulus Fürst. 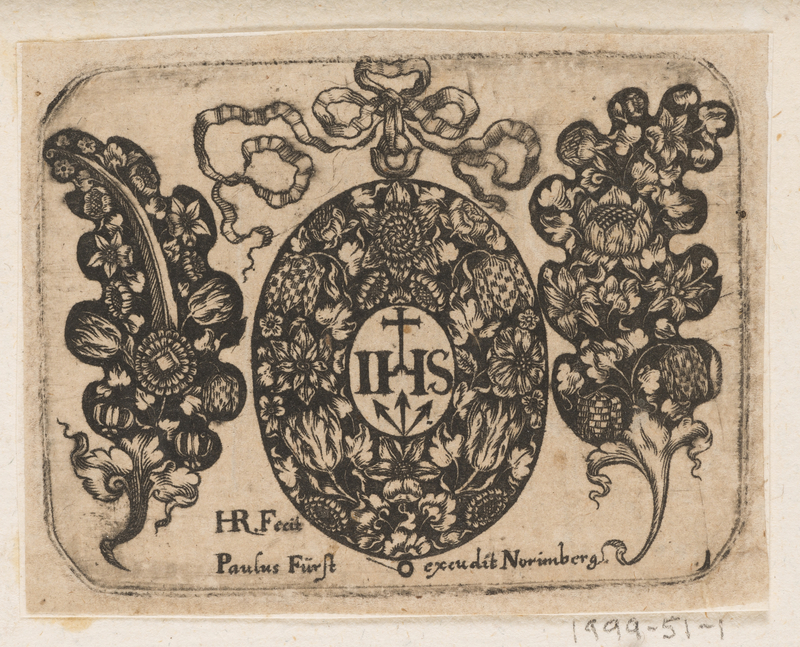 Imprinted lower right center (above plate mark): excudit Norimberg (sic). At lower right corner, just above plate mark: "1"